SP Scientific announces the LyoCapsule™ Freeze Dryer - an exciting new lyophilization instrument that delivers results comparable to larger R&D freeze dryers enabling a Quality by Design (QbD) approach to cycle development even when materials are highly expensive or limited in quantity. This addition aligns with SP’s mission to provide ‘line of sight’ scale-up equipment and technology from R&D through to commercial freeze drying. The LyoCapsule freeze dryer's small chamber incorporates a unique cylindrical inner chamber, or ‘capsule,’ to hold the vials and utilizes wall temperature control to ensure that edge vials dry under the same process conditions as center vial. Employing this technology, this mini freeze dryer can be used to mimic the performance of a larger development freeze dryer, utilizing small quantities of costly materials, such as developmental biological drugs and requires far less material preparation time, while still facilitating robust and cost-effective cycle development. 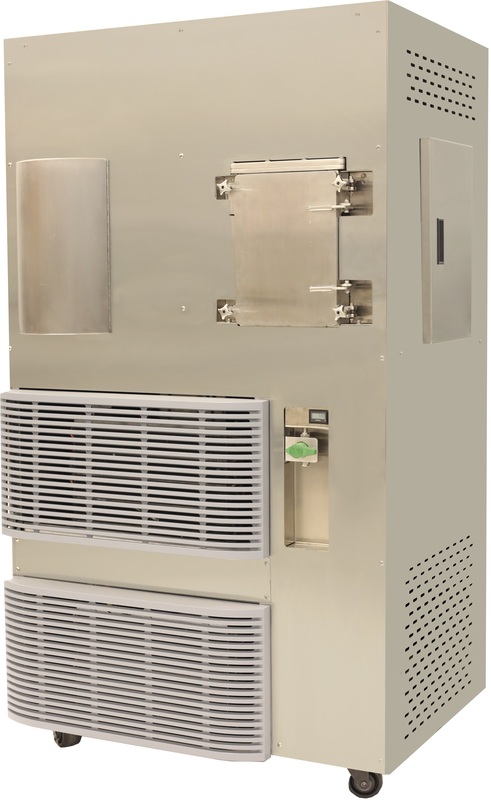 The LyoCapsule freeze dryer may be used to reliably screen formulations for freeze drying feasibility, optimize the freeze drying cycle during development, evaluate efficient process scale-up and much more without requiring the use of large quantities of materials and undue sample preparation time. The unit can accommodate 2 mL to 20 mL vials; seven (7) 20 mL vials can fit comfortably on the circular shelf. Compared to other small scale R&D freeze dryers, SP’s LyoCapsule lyophilizer is the only system that can monitor and independently control the wall temperature via use of the center vial product temperature. Utilizing the center vial product temperature enables better control and replication of center vial drying behavior during cycle development. Additionally, vials in the LyoCapsule freeze dryer are in direct contact with the shelf surface replicating the same conditions that are found in larger freeze dryers. A full suite of Process Analytical Technologies (PAT) tools further complements SP Scientific’s ‘line of sight’ scale up as the technologies are available at all freeze dryer scales including production. In addition, the LyoCapsule freeze dryer offers the user robust process monitoring tools including chamber and condenser capacitance manometers, Pirani gauge, product thermocouples, SMART Freeze Drying technology and TDLAS as an add-on option.